Product #46661 | SKU 15520 | 0.0 (no ratings yet) Thanks for your rating! 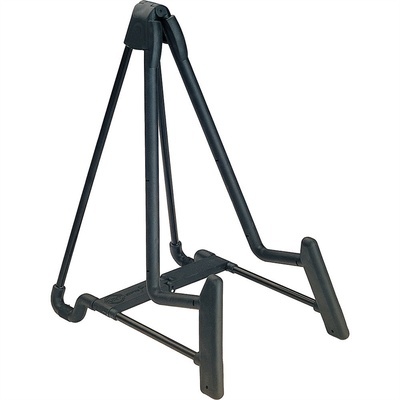 The K&M 15520 Violin Stand (Black) integrates an aluminium construction and offers stable support for your violin. You can easily set up the stand via a flap hinge. Storage and transportation of the stand are facilitated via a folding design realised by a hinged bracket. All instrument support parts of the stand sport a special plastic coating to protect the instrument body from scratches or abrasions. The violin stand is 14.3" (365mm) high and sports a black colour.